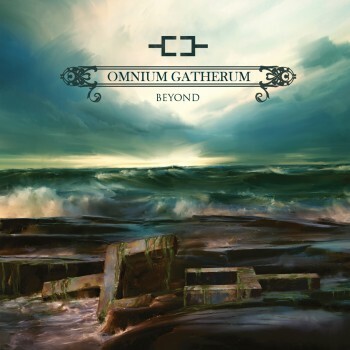 Omnium Gatherum are a Finnish melodic death metal band and they have 5 studio albums to their name. Beyond is their 6th, released on 22nd February 2013. This band is known for their blend of melodious guitar work with harsh guttural death metal vocals. Their previous album New World Order was critically acclaimed and garnered much praise in the metal community. Their new album takes the same formula as their previous albums. The album starts of with an instrumental track, 'Luoto' which features some brilliant and melodic guitar work. Following this, the track 'New Dynamic' offers some fast paced melodeath riffs with some amazing death growls from the vocalist. This song set the hopes high for the rest of the album. But unfortunately, the remainder of the album does not live up to it. Individually, each and every element on this record is exceptional, in it's own right. The guitar melodies are soothing, uplifting and very innovative. The high point of this record are the vocals. There is a use of both clean and death vocals. While the cleans vocals are not much prominent and used very mildly in the background, the guttural death growls are crushing and manly. The production on this album is very clean, sometimes too clean for it's own good. The synths work well in providing an overall atmospheric effect to the songs. Focusing on the flaws of this album, the biggest defect of this album is that is lacks consistency. Some songs are very fast paced and keeps you hooked, while other songs are slow, atmospheric and largely boring. Had it been clean vocals on the slow songs, it might have worked well. But the death growls and the melodic guitars do not sync well in some of the slower tracks. A few tracks feel that they overstay their welcome, especially the last track which clocks in at over 10 minutes. Beyond is a good record at parts ('The Sonic Sign', 'New Dynamic', 'Living In Me') and a very stretched out average record at other parts. Give it a try if you like the idea of gentle melody with harsh vocals.